Head of Tzohar rabbinic organization says Comptroller report showing problems in kashrut industry shows need for urgent reform. Rabbi David Stav, the head of the Tzohar rabbinical organization who ran unsuccessfully for the position of Ashkenazi Chief Rabbi in the last elections, losing to haredi candidate Rabbi David Lau, responded to the section of the State Comptroller report which was released today and which dealt with the issue of kashrut in Israel. The report slammed the current system, in place for many years, under which 95% of kashrut supervisors for Israeli businesses receive their salaries from those businesses, which the report said "creates a conflict of interest." The report also found that salaries were paid in cash in violation of the law, without providing for mandatory taxes, mandatory taxes, pension provisions, vacation pay, and convalescence pay as required by law. Another issue the report criticized was the payment of kashrut supervisors for impossible hours, raising suspicion that supervisors are being forced to work up to 16 hours a day or are being paid for time that they do not work. 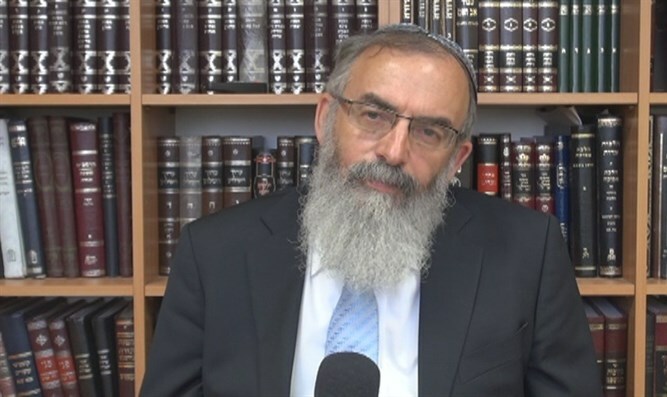 Rabbi Stav said that the report shows the need for the reforms to Israel's kashrut system which the Tzohar organization has been pushing for. "The comptroller’s report highlights what most of the Israeli public and we at Tzohar have been saying for years. The kashrut system in this country is in a downward spiral. There is no other solution to heal this crisis other than privatization of the system. We need to see a complete separation between political power brokers who finance this corrupt system all the while refusing to actually eat the food they are responsible for supervising and we need to open the kashrut market to new players," Rabbi Stav said. The problems described are not due to decisions of the current Chief Rabbis and the kashrut department of the Chief Rabbinate has begun an overhaul and reorganization of kashrut services in order to carry out the reforms needed.